Air pollution presents the most severe environmental risk to human health. While the Bulgarian EU Presidency designated air quality improvement one of its top environmental priorities, including it on the agenda of the European Environment Ministers’ informal Council meeting earlier this month, urgent action is still needed to address air pollution’s deadly health burden. 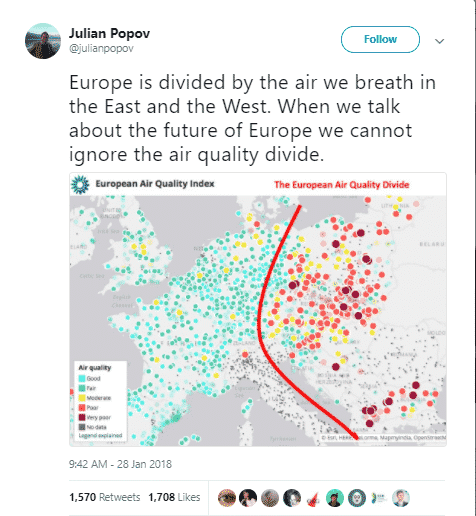 The latest data shows a serious air quality divide between Eastern and Western Europe, increasing health inequalities – how will the European Commission respond? The OECD projects that the market costs of air pollution – including reduced productivity, additional health expenditure, crop losses, etc. – will increase to 2% of European GDP by 2060. However, this is estimated to be equivalent to just one tenth of the non-market costs, including those of illness, ecosystem damage and climate change. As the latest Air Quality Report from the European Environmental Agency shows, the quality of air we breathe is not the same everywhere in Europe. 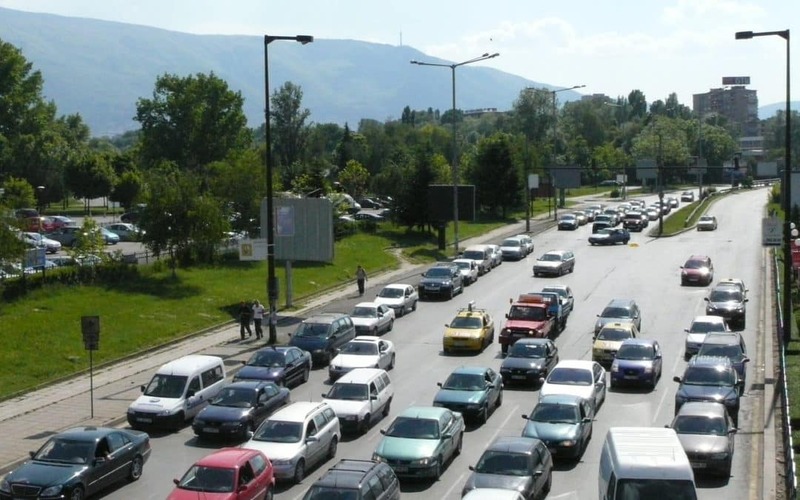 One of the reasons for this sharp divide is the increasing rise of imports of exports of second-hand diesel cars to Central and Eastern European countries, as drivers in Western Europe ditch them in response to the rise in city bans, low-emissions zones and health concerns driven by the Dieselgate scandal. As a result, air quality is worsening in Eastern Europe. Western countries are exporting the problem, rather than solving it, and deepening the East-West air quality divide. The already high social and economic costs linked to air pollution will only also deepen the health gap between east and west. Environment ministers from EU national governments, the Western Balkans and EFTA partners exchanged views with the European Commission on ambient (outdoor) air quality during their informal meeting hosted by the Bulgarian EU Council Presidency in Sofia on 10 April. “The time has come to reconsider our approaches to solving issues related to air quality, to move from visions and ambitions to real actions and tangible results. Effective action to reduce the impact of air pollution requires profound changes in policies, lifestyle and attitudes”, stated Neno Dimov, Bulgarian Minister of Environment and Water. But how much do these commitments reflect everyday reality? Commissioner Vella touted the health in all policies approach, asking Ministers to work across borders and across sectors with their transport, agriculture and energy counterparts, particularly on current EU negotiations on clean vehicle and car CO2 standards. While the calls to work cross-sectorally and the threat of legal action against the 9 member states, are welcome, the European Court of Justice (ECJ) already condemned Bulgaria and Poland in 2017 and 2018 respectively for breaching air quality limits, without imposing any fines. Whether this is the first sign of stronger EU action to improve air quality remains to be seen.